← A Closer Look at Van Gogh: Mad Genius? 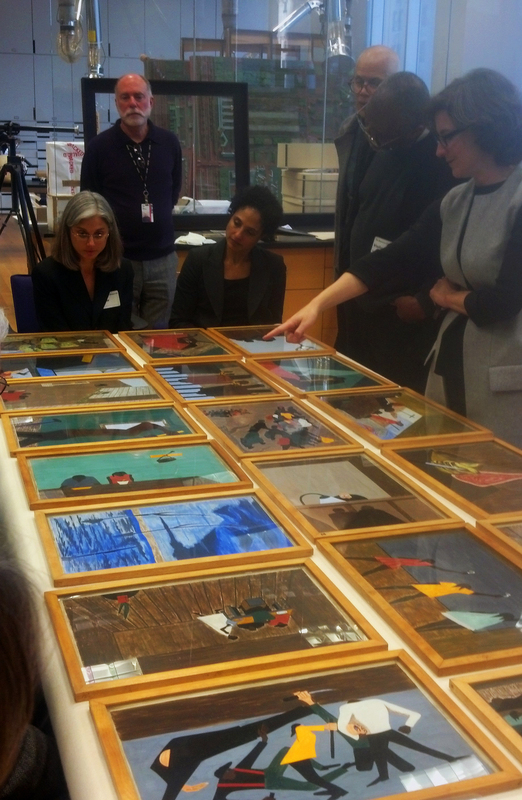 Last week, Curator Elsa Smithgall and I traveled to New York for a panel discussion at the Museum of Modern Art on Jacob Lawrence’s Migration Series in preparation for a collaborative exhibition between the Phillips and MoMA in 2015 and 2016. The exhibition will reunite the 30 panels from the Phillips’ collection with the 30 panels in MoMA’s collection, and will open at MoMA in 2015 and then travel to the Phillips in 2016. The panel included 15 participants from various fields of study and expertise, including art history, philosophy, poetry and literature, American history, African-American culture, fine art, film making, music, and culinary arts. 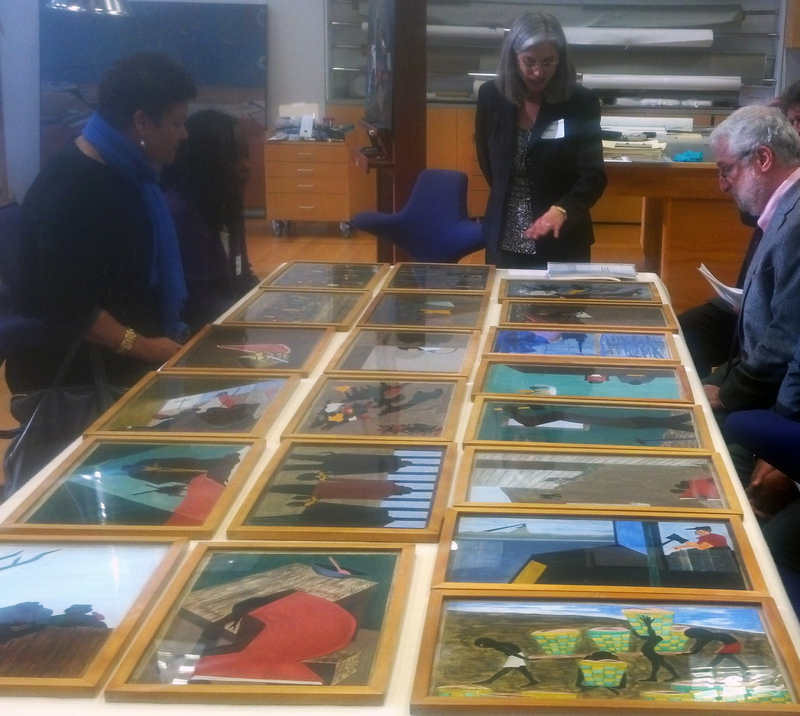 Participants spent the day discussing the continued relevance of Lawrence’s work and ways to approach the series from new viewpoints and disciplines. This discussion and subsequent meetings will shape the content and programming of each institution’s exhibition, providing a fresh, contemporary context for this seminal artwork. This entry was posted in Experiment Station and tagged Jacob Lawrence, Migration Series, Museum of Modern Art. Bookmark the permalink.